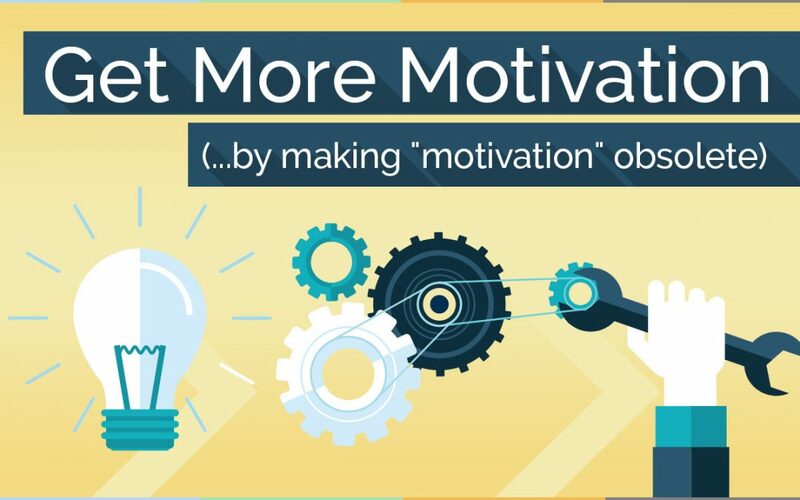 Premise: The best way to “get more motivation” is to use motivation to render motivation obsolete. If you haven’t read the post about The Habit Spectrum, read that first, as I’ll be using a lot of the same terms. You can pretty much consider this post part 2. Also, as a side note, in this post, I will be using the term motivation, but a lot of this relates to willpower as well. You need more motivation to take a step forwards, to grow — but then you stop, you pause, you become comfortable and acclimated to that new position. You get to a point where you don’t need more motivation to stay where you are. Once you’re there, only then do you tap into motivation again to take another step (whether it’s a step forward along the same path, or a step in a new direction). Instead, the goal of motivation is to shift your comfort zone, so that you don’t need motivation to regularly accomplish [that same goal]. This is how you prevent yourself from doing things like losing 25 lbs. and gaining 30 lbs., back, or burning yourself out to accomplish career goals at the expense of your work-life balance. The goal of motivation is shift your comfort zone, so that what you previously needed motivation to do simple becomes “the new normal.” It becomes something you actually don’t need to get more motivation for, like brushing your teeth or breathing. You consciously push yourself into new, uncomfortable and weird territory. You become uncomfortable. You do things that make you a little bit anxious. And you stay in this new, uncomfortable spot for a little while, until what was new and uncomfortable become normal, habitual, easy, and comfortable. Both these things are true, but let’s figure out what these things mean. Honestly, “Making a lifestyle change” just sounds giant and overwhelming to me. Let’s relate this to the habit spectrum. Remember that the orange stuff represents the real, physical world. It represents degrees of closeness, difficulty, easy, physical habits, and so forth. You have the “Zone of Propinquity” where your choices are determined by a complex interplay between your will, motivation, resistance, and various degrees of physical closeness, propinquity, convenience, and so on. 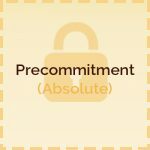 You can “short circuit” all this through precommitment, which takes propinquity to an extreme, and renders choice obsolete (e.g., going to a treatment center where you are literally, physically restrained from accessing the drugs to which you are addicted). You can pre-commit to staying in a space or place that is very far outside your comfort zone. The green arrow represents internal momentum, helping you reach across towards your goals. The blue arrow represents internal resistance, keeping you in your current comfort zone with tiny doubts and small thoughts. Momentum keeps you going; resistance tries to get you to procrastinate. Your current comfort zone on the left represents where you are. In this spot, everything you do is comfortable and easy – automatic. Your daily habits are not difficult. On the right is your (desired) new comfort zone; it is where you want to be. Your current comfort zone is a matter of habit, of routine, of convenience, but where you want to be is “way out there,” in the world of the unknown, the inconvenient, the difficult, and so on. It will be weird. It will be uncomfortable. But there’s no way to do it except to accept that discomfort. After a year or two of being really in it, that will be the new norm. Through research and learning you will have answers to some of those basic questions (e.g. about taxes), and on a deeper level your life will just be different. You’ll have different daily thoughts and needs. You will think about different things when you wake up in the morning. For many things, you can’t just power your way there and stay there through sheer force of will. At first, you have to rely on motivation and momentum, and you have to fight internal resistance—that little voice in your head telling you that you can’t do it, or that it’s too hard, or that you can do it tomorrow. When I started my first diet, I had no freaking clue how to cook. I was a freshman at university. I was useless. Cooking “healthy whole foods” was weird and uncomfortable for me. It took a lot of time. I didn’t know how to do it. Even after spending a bunch of time cooking, it wouldn’t taste all that good. But it gets easier. At first I had to rely on motivation and momentum to keep me there. I had to fight resistance. Now I don’t. I have a new comfort zone. My internal resistance doesn’t say, “Pssst, hey, maybe you should go back to eating fast food all the time,” because that wouldn’t be easier at this point. My tastes have changed; my habits have changed. In university, I was a lazy slacker for my first two years. (I was too cool for school, as it were.) I actually almost flunked economics. 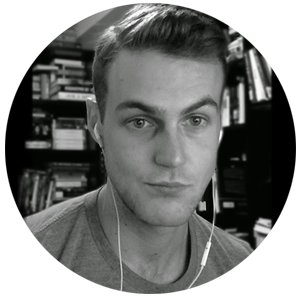 So in third year, when I decided I actually sort of enjoyed this learning stuff, and I might — y’know — want to pursue it at a higher level, I had to buckle down and learn how to really learn. As in, I didn’t want to just pass a few tests or hand off lousy, last-minute essays that scraped by with a B-minus; I wanted to really learn the concepts and stretch myself in my writing. I talked to professors and they all said, sure, I had the potential to take this further, but I couldn’t just “really like books”; I had to dedicate myself to learning the theory, as well as the history. At first, that was weird and uncomfortable, even though I actually sort of liked it. I would put my head in weird places, wrapping my mind around weird theory stuff. The history was the same way. I could only do this for relatively short periods before (1) I got tired, and (2) I just confused myself. By contrast, now I’m really good at that stuff. I can throw myself into the weird head space that literary theory demands, and I also know most of the major concepts and the major historical stuff, which provides a kind of mental scaffold for jumping into the details and orienting myself when digging into new events, concepts and ideas. Instead of learning general concepts I’m exploring nuances. This stuff is my comfort zone now. I remember when I first started my masters, and a friend of mine did some house sitting for one of our profs. After he said, “It was super weird. He has all these huge bookshelves, but they’re not filled with novels, but just… more and more theory.” Now that’s my bookshelf. I can even read that stuff for fun, because it’s not just A Difficult Thing I Must Do (and fight internal resistance to do), but a thing I’m good at, and can do for fun; it’s even something I can do to relax after doing something else that is very mentally taxing for me. Heck, instead of needing more motivation to do it, reading weird literary theory is what I find myself doing to procrastinate on other stuff I actually should be doing instead (like writing). I’d say “Do I use this activity to procrastinate?” is pretty much the ultimate heuristic to use of whether or not something is your real, true comfort zone. And once that new comfort zone is established, you can simply… use your motivation to move on to something new. What should you move on to? Whatever you want. You just keep going. You can manipulate all of this: the inner motivational stuff, the outer physical stuff – all of it. You can do things which will build momentum, but which will also strangle and starve resistance, and just plain make your life easier and more convenient. Here are examples of the way you can manipulate the physical outer world in order to conserve motivation and render it obsolete quicker. This feeds motivation. You’ve made a decision that you feel serves you. You also know, going forward, that even if motivation slips, you won’t be able to mess up without leaving your house. That, too, is motivating. As you go, being “on track” for X number of days and so on will be more and more motivating, and will (in turn) help establish the habits and convenience of sticking to your plan. Resistance will wane. Precommitting to anything that serves your goals can, by the sheer act of doing it, feed momentum. You know when you’ve made a decision that serves you. Generally, it feels good, and it feeds into the next one—in other words, it builds momentum. This removes any fuel for resistance (“oh gosh, I don’t have my main meal I guess my only option is to eat ALL the donuts”) and it improves propinquity for when things would otherwise get hard. Also, again: simply knowing that you have already “planned ahead” is very motivating. You don’t have to worry about things, which would just drain your willpower (and feed resistance or starve momentum, depending on how you think about it). If you wake up early and go to the gym every day, it becomes easier and easier. At first, the degree of propinquity isn’t very good, relative to your goals and habits. But it gets easier. You’ve got momentum on your side. Eventually, it’s convenient. Your body becomes more physically used to it, you have a routine going, it’s all good. This in turn feeds motivation. Which in turn fights resistance, and helps with other habits throughout the day. It’s an early win. Being up and about and getting a big project out of the way early can help with the propinquity and general convenience of the other habits you want to focus on. Not knowing where to start is a real-world obstacle, but it will feed resistance. I personally find this to be a huge obstacle for any new project I undertake, and I also think it is one of the biggest things holding people back with fitness and dieting – there are so many conflicting voices out there that it becomes hard to just sort through and focus on the principles, the stuff that you know can’t be wrong. A meta-habit is a habit about habits. All this means is that you make habit craft itself a habit. This creates a sense of autonomy and self-control. It is also the only way to deal with the real-world obstacles that are going to be unique to you and your life. There are always general obstacles (e.g., in weight loss: a sense of hunger), but I find 99% of the difficulty people have is that their obstacles are unique to them. The only way to overcome this is to make it a habit, because (1) this makes you vigilant about actively dealing with this stuff, and (2) when you do it routinely, you get good at it. Habit craft is a very good skill to have. As with Part 1, I hope this gives you ideas and helps you think through or organize the processes that are working for you and against you. If the ideas above in this post don’t get your brain going, make sure to check out the exercises and ideas in Part 1. If you have more ideas, leave a comment or shoot me an email.